Mad Scientists Recreate Armageddon Virus!!! Home Editorials Mad Scientists Recreate Armageddon Virus!!! The Independent, Infowars and many, many others are reporting that American scientists have decided it would be a bright idea to recreated a ‘crazy, dangerous’ deadly airborne flu virus…… the Spanish flu which killed tens of millions of people. Scientists have created a life-threatening virus that closely resembles the 1918 Spanish flu strain that killed an estimated 50m people in an experiment labelled as “crazy” by opponents. US researchers said the experiments were crucial for understanding the public health risk posed by viruses currently circulating in wild birds, but critics condemned the studies as dangerous and called on funders to stop the work. Scientists at the University of Wisconsin-Madison used a technique called reverse genetics to build the virus from fragments of wild bird flu strains. They then mutated the virus to make it airborne to spread more easily from one animal to another. 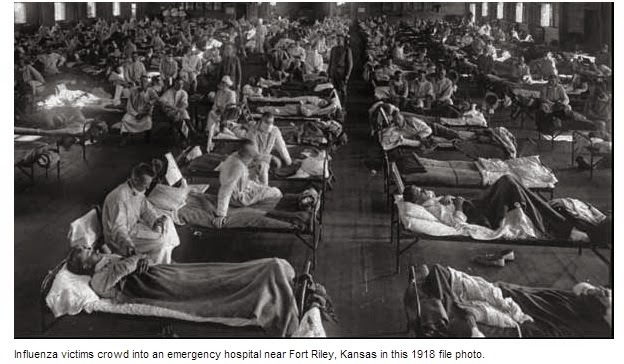 The Spanish Flu pandemic of 1918 has been “the most devastating epidemic in recorded world history,” and now we recreate it? More people died of influenza in a single year than in four-years of the Black Death Bubonic Plague from 1347 to 1351. I repeat, what the hell is wrong with people??? ?